Posted in Fishing Charter Recent Posts	| Comments Off on Tarpon, Sharks and Barracuda! Posted in Fishing Charter Recent Posts	| Comments Off on You Know…..Kids Are Awesome! Huge Nurse Shark, Triple Tail and Redfish!! Here are some highlights from the past few days including an 8-9 foot nurse shark!! Posted in Fishing Charter Recent Posts	| Comments Off on Huge Nurse Shark, Triple Tail and Redfish!! Last year Uncle Mike hooked 2 tarpon but couldn’t land the fish, this year Will hooked up and sealed the deal!!! 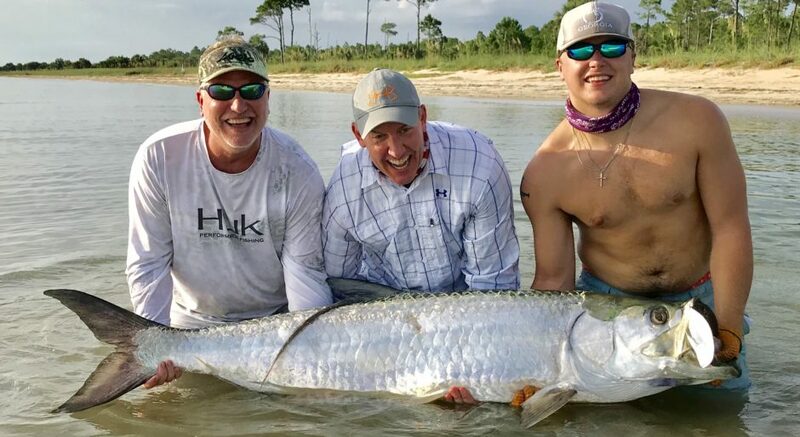 Posted in Fishing Charter Recent Posts	| Comments Off on Will’s First Tarpon!!! So Much Fun, So Little Time! A sampling from the past few days fishing! Posted in Fishing Charter Recent Posts	| Comments Off on So Much Fun, So Little Time! Great Morning With The Harkin Boys! Rob, Will and Lawson were back for some first ever triple tail and sharks!!! Posted in Fishing Charter Recent Posts	| Comments Off on Great Morning With The Harkin Boys! Very Very Large Triple Tail and Some Sharks! Joe, Davis and Clark caught some BIG triple tail and feisty sharks today! Posted in Fishing Charter Recent Posts	| Comments Off on Very Very Large Triple Tail and Some Sharks! A Triple Tail and Sharks Kinda Day! Cody, Stacy and Billy had a great time catching triple tail and sharks today! All the sharks you could want!!! Posted in Fishing Charter Recent Posts	| Comments Off on A Triple Tail and Sharks Kinda Day! Never Know What You Might Get! A nice mixed bag of redfish, speckled trout, flounder and yes a king mackerel! Posted in Fishing Charter Recent Posts	| Comments Off on Never Know What You Might Get! Redfish, Trout, Flounder, HAMMER HEAD! We caught a variety of species ending with a big hammer head shark!!! Posted in Fishing Charter Recent Posts	| Comments Off on Redfish, Trout, Flounder, HAMMER HEAD!